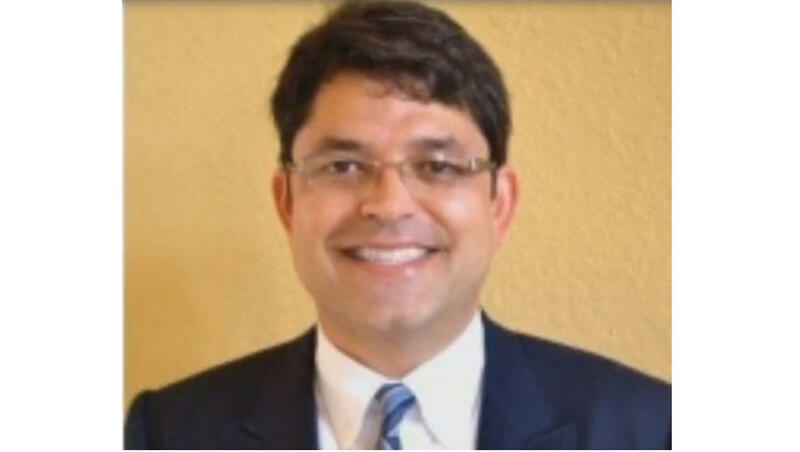 HOUSTON -- A medical examiner on Tuesday identified the gunman who police say opened fire on Houston motorists early Monday, injuring 9, as 46-year-old Nathan DeSai. Officials have said DeSai was a “disgruntled” lawyer. He was wearing historic military-style apparel featuring a Nazi emblem on his clothing during the shooting, police said Monday. Investigators also said they found vintage military items dating to the Civil War in his apartment, officials said. Police began receiving 911 calls at around 6:30 Monday morning, reporting shots fired in a residential neighborhood. Houston police, West University Place police and Bellaire police responded and exchanged gunfire with the shooter, who was standing next to his car and using a tree as cover, police said. Eventually, police shot and killed the gunman. Police said DeSai had two weapons – a .45 semi-automatic handgun and a tommy gun – and more than 2,500 rounds of ammunition, and was shooting at random before he was shot and killed. Investigators found additional weapons in his apartment. Mayor Sylvester Turner told KTRK-TV that DeSai was “either fired or had a bad relationship with this law firm.” A tweet from the Houston Police Department said investigators were working to determine if “issues at the firm” led to the shooting. DeSai’s former law partner, Kenneth McDaniel, told CBS Houston affiliate KHOU the two dissolved their partnership back in February due to economic reasons. McDaniel said he had not spoken to DeSai since February. The State Bar of Texas told the station DeSai had no public disciplinary history but could not say if there were any open complaints against him. He reportedly practiced business, family and criminal law. DeSai had been working out of his condo, a short distance away from the residential neighborhood where the shooting took place. DeSai’s parents told the station they are cooperating with the investigation. They said they last saw their son at dinner on Sunday night, and didn’t realize he had been involved in the shooting until they saw his car on the news. Six of the injured victims were shot, and three others who were cut by flying glass were treated at the scene and released. After the shooting stopped at 7:15 a.m., Molleda found her husband, 49-year-old Alan Wakim, several blocks away in the parking lot of the strip mall. His Mustang had two shots that went through the windshield, and he told her that he saw a red laser beam before the shots were fired. He was taken to a hospital to be treated. “He got out of his car, we hugged, we cried,” Molleda said. Molleda said she didn’t know DeSai very well, and described him as quiet. “He’s a normal, average Joe,” she said. Jason Delgado, the property manager of The Oaks at West University condo complex, confirmed that police are going through DeSai’s residence. He also said that there were two recent incidents involving DeSai. In August, Delgado said, police were called after roofers working in the complex said DeSai pointed an assault-style rifle at them. Delgado said there wasn’t enough evidence to move forward with charges because the suspect denied that he pointed the gun at the roofers. And last week, DeSai became upset because of water pressure problems at his home, asked for maintenance help and expressed his displeasure in an email to the management firm that implied he’d “intimidate his way to getting what he was asking for,” Delgado said. “What personal problems he has going on in his life, who knows,” she said. Another witness, 30-year-old Antwon Wilson, inadvertently drove into the shooting scene after dropping off his girlfriend at work. He said he could “literally hear the gunfire flying.” He managed to flee and escape injury. Lee Williams left his home in the neighborhood upon hearing gunshots and began directing traffic away from the condo complex, noting that people often cut through the area to avoid some busier intersections. One car ignored him, he said, and was immediately shot at. Williams couldn’t see the gunman because it was dark, but believed he saw the muzzle flashes. “Whatever cars were going by, he was shooting at them,” the 55-year-old said, noting he heard at least 50 gunshots over 40 or so minutes. As he was being interviewed, neighbors came by and patted him on the back, thanking him for keeping people safe. After the holiday weekend, President Trump didn't seem fazed by a possible impeachment, days after the release of the redacted special counsel report. Weijia Jiang reports.